I'm back again to show off another of Designed 2 Delight's digital stamps! This weeks stamp set for their progressive challenge is called Tropical Summer! 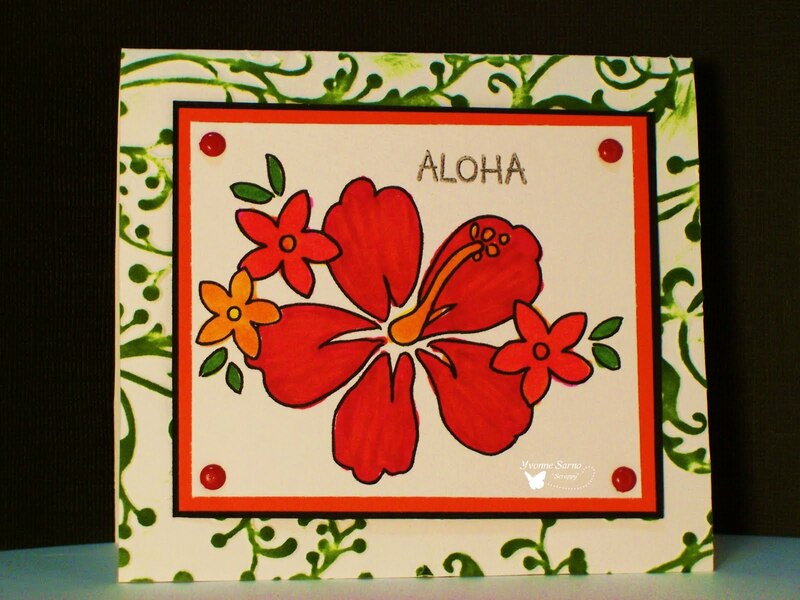 Although vacation is out for us this year, I decided on using 'Aloha' as the sentiment! Afterall, a girl can still dream about going to a warm and tropical place! Right? More than like it...love it and I really appreciation all the time your put into this darling card to finally get it posted. Congratulations! Gorgeous card and perfectly coloured, what a great digi. Such a zingy card very clever. Thanks for sharing with us at Digi Doodle Shops Best.